CAN SPI click 5V is an complete CAN solution which carries the MCP2561 CAN transceiver and MCP2515 CAN controller from Microchip. 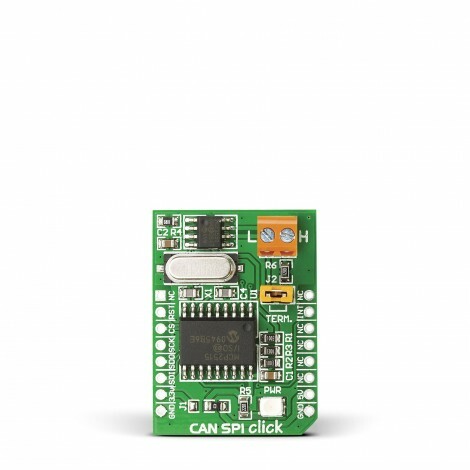 It is the best solution to add CAN connectivity to your microcontroller with SPI interface. 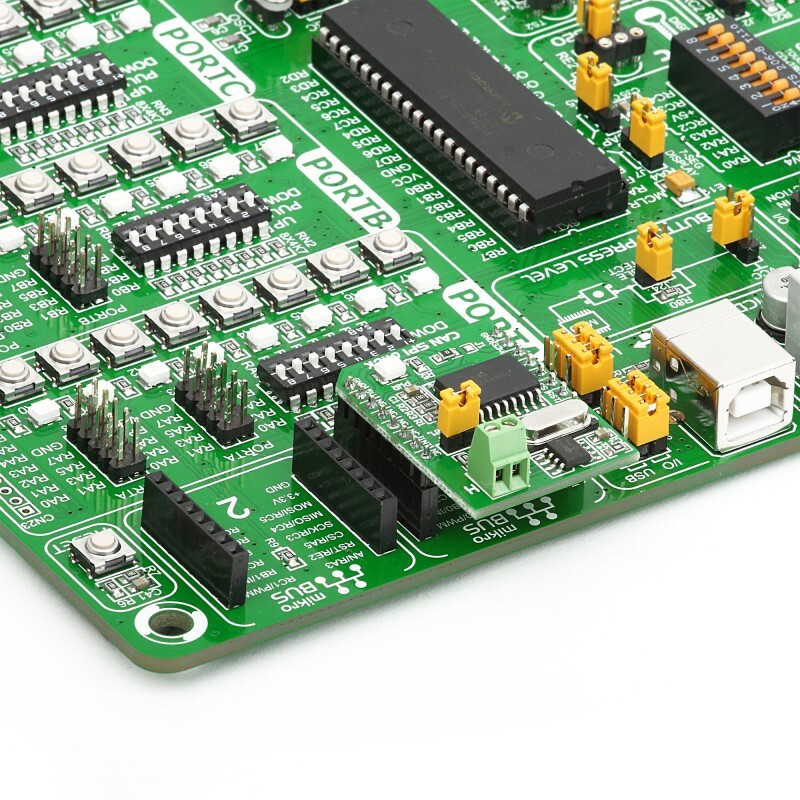 The MCP2561 serves as an interface between a MCP2515 CAN protocol controller and the physical two-wire CAN bus, and meets the automotive requirments for the high-speed (up to 1Mb/s), low quiescent current, electromagnetic compatibility and electrostatic discharge. 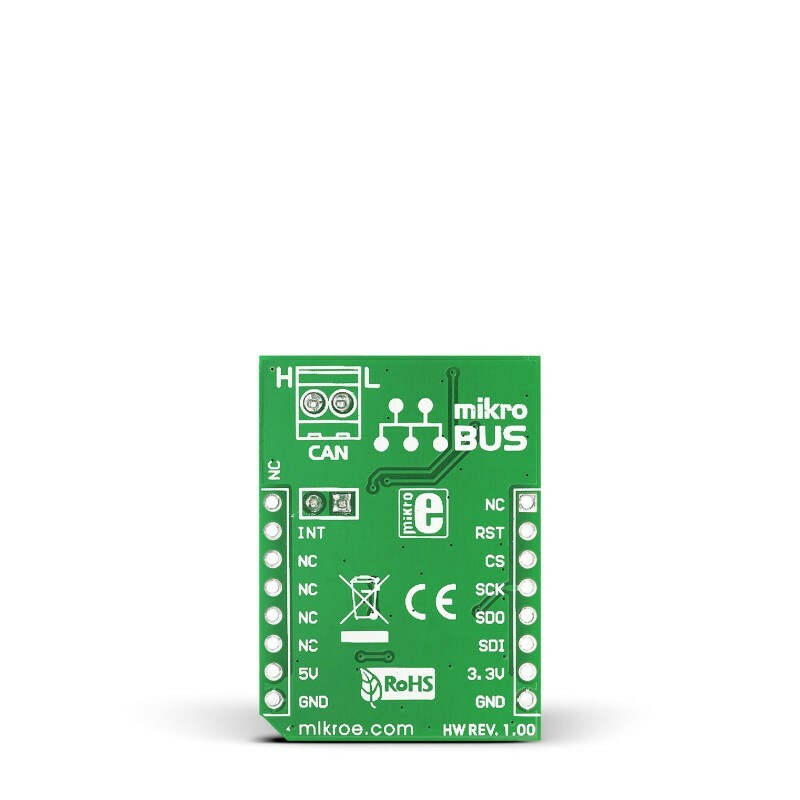 Both of this devices reduce the overhead for the MCU by simplifying applications that require interface with a CAN bus. This click board is designed for operation in especially-harsh environments, these devices feature cross-wire protection, loss-of-ground, and overvoltage protection, overtemperature protection, as well as wide common-mode range. 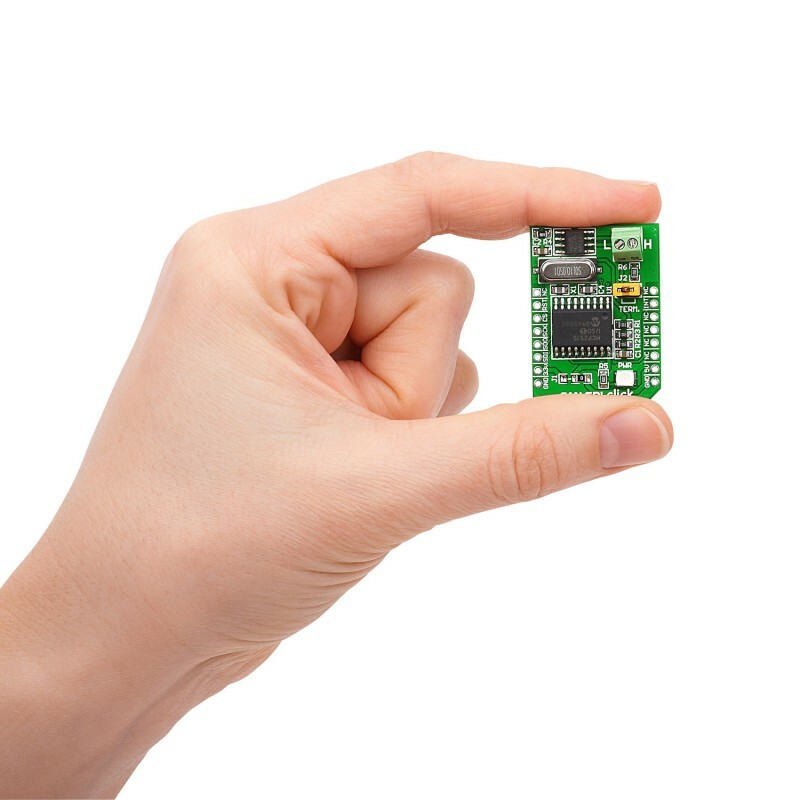 Board is designed to use 5V power supply only.